The Sunset Park Bandshell, located in Sunset Park, is on the National Register of Historic Places. Originally built in 1926 by the local Kiwanis to house the Holton Co. Community Bands at a cost of $5,000, it was located at the Courthouse Park. It was designed by G. Pheby of Phoenix, AZ, and was considered the finest in the midwest because of its remarkable acoustical qualities. Its method of construction - incorporating thousands of 1-foot by 1-inch wooden slats - is one of only two of its kind known to be in existence in the US today. It is said that the sound of even the weakest instruments is projected hundreds of feet, so the audience hears the full band or chorus. In 1962, the bandshell was moved to Sunset Park in order to make room at its original site for the new Walworth County Courthouse. In 1995, the city council set aside $40,000 for its restoration. All in all, the cost was $100,000. At that time, there was talk of moving the bandshell back to its original location at Courthouse Park. In the end, the bandshell remained in Sunset Park. Weekly concerts are held on Friday evenings and still continue. Elkhorn has a rich history of music. Joseph P. Webster, composed the first of over 1.000 songs when he moved to Elkhorn in 1857. Two of the most famous are "Lorena" and "In the Sweet By and By". The Holton Company is one of the oldest and continuing manufacturer of wind instruments. The Getzen family from 1939 to present have manufactured trumpets, coronets, flugelhorns, trombones, baritones, and other specialty instruments. 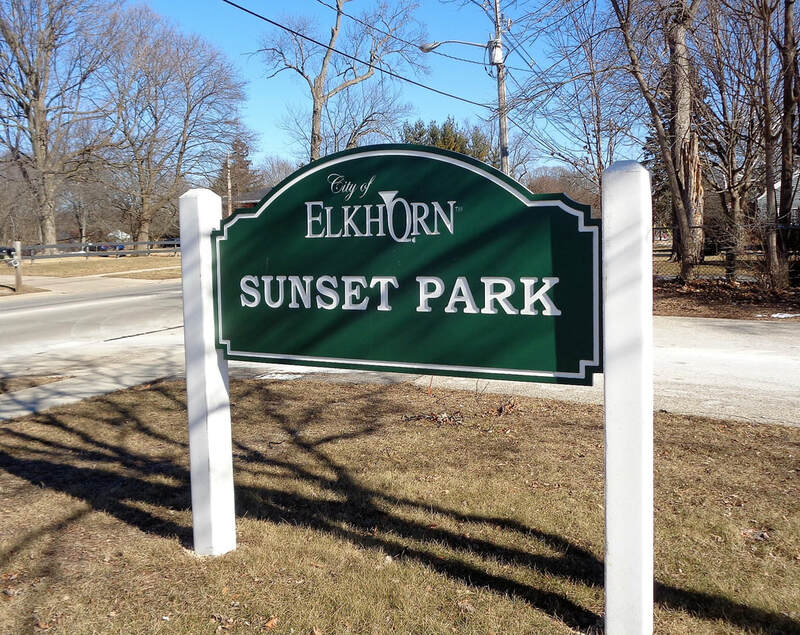 The Village Profile provides more information about Elkhorn.